Dr. Michael Greger's bestselling book, How Not to Die, presented the scientific evidence behind the only diet that can prevent and reverse many of the causes of premature death and disability. Now, The How Not to Die Cookbook puts that science into action. From Superfood Breakfast Bites to Spaghetti Squash Puttanesca to Two-Berry Pie with Pecan-Sunflower Crust, every recipe in The How Not to Die Cookbook offers a delectable, easy-to-prepare, plant-based dish to help anyone eat their way to better health. Rooted in the latest nutrition science, these easy-to-follow, stunningly photographed recipes will appeal to anyone looking to live a longer, healthier life. 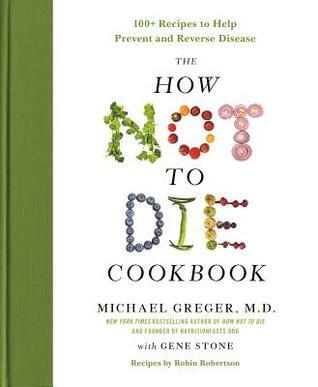 Featuring Dr. Greger's Daily Dozen--the best ingredients to add years to your life--The How Not to Die Cookbook is destined to become an essential tool in healthy kitchens everywhere.